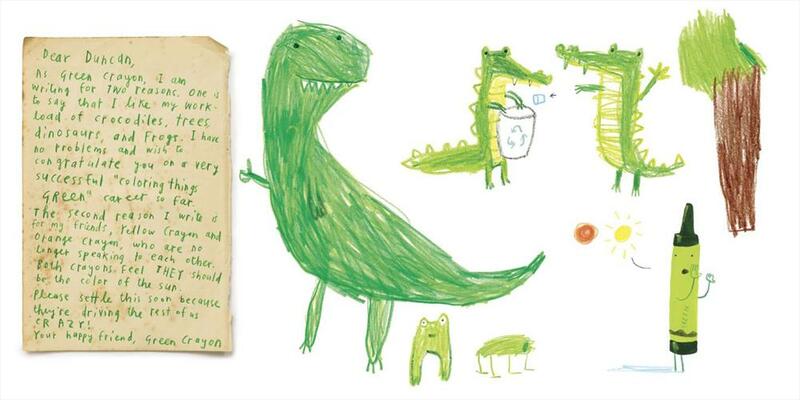 For ‘The Day the Crayons Quit‘, debut author Drew Daywalt and international bestseller Oliver Jeffers have teamed up to create a colourful solution to a crayon-based crisis. It’s a creative book that will delight adult and children alike. One day, young Duncan finds a stack of letters where his crayons should be. They’ve gone on strike. It turns out that his Red crayon feels overworked, what with the amount of firetrucks and red apples Duncan has been colouring in. Yellow and Orange aren’t talking at all. Grey laments that elephants are an awfully big expanse to cover all by himself, and White has an existential crisis over the meaning of it all. “Could you please use me sometime to colour the occasional pink dinosaur or monster or cowboy?” asks Pink, while Beige reclaims its name with pride. Meanwhile, all Black wants is to maybe work on a rainbow or two. Who could blame him? I’m just going to say it: this is a fantastic book! The end, no moral. If this is not the outright winner of whatever ‘2013 Children’s Book of the Year Award’ currently exists, I will be very surprised. The concept is genius, and Oliver Jeffers’ childlike illustrations truly bring the text to life. It’s certainly made me feel incredible guilt over all the melted crayon art I made a couple of years ago. ‘The Day the Crayons Quit’ may actually be more suitable for older readers — some of the letters are a little too long and the jokes just a little bit too clever for the teeny tiny target audience — but if money was no object, I would still buy it for every child I know. The only questionable element I could find was Peach being the ‘naked’ crayon, while Brown was mentioned in passing as being used to colour bears. (I mean really? ‘Peach’ ≠ ‘Flesh’, you guys.) I don’t know if this is just me reading too much into it, but it would’ve been nice to have a bit of diversity in such a colourful book.